Apartment is clean, close to restaurants (20 minutes walk). Staff is friendly. The room was spacious and the balcony was very large. Staff were helpful. The staff are friendly and courteous, always willing to do little extra things. It is an easy place to stay with good access to trams and trains. The parking is reasonable... we stay here most times when we go to Melbourne. The price for the room was reasonable given the location, cleanesss, size and so on. Also, the parking fee ($6 - If my memory is correct) for 24 hours/multiple entry is one of the reasons why I like the accomodation. Due to stormweather at Sydney airport we arrived only at 2.30 am in the middle of the night. Surprisingly we could get into the room and had a good sleep. The location was perfect for me visiting Box Hill hospital. The rooms are nice and spacious, and very clean. Super close to our family. Tram & train super close & easy to get to the city. Clean & comfortable suite. 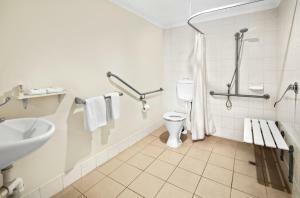 The place was clean, easily accessible and had great facilities. the staff were very friendly and helpful with any questions or requests that we had. Lock in a great price for Quest Mont Albert – rated 8.5 by recent guests! 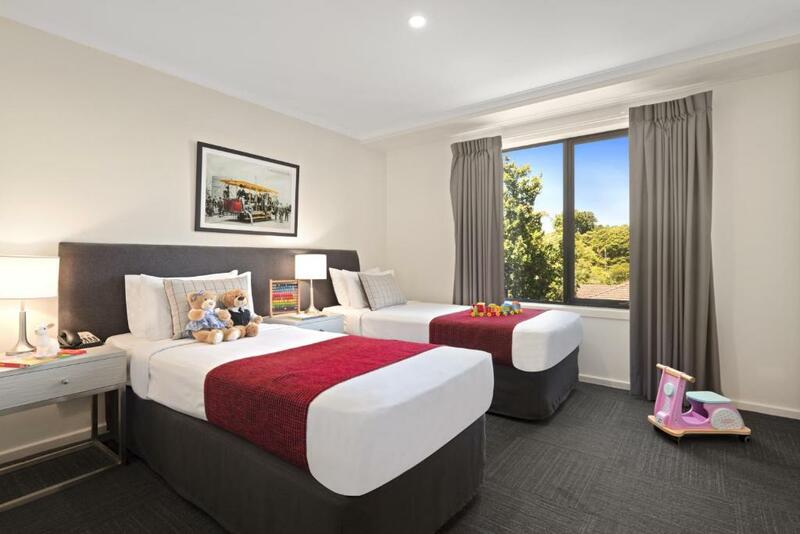 Quest Mont Albert This rating is a reflection of how the property compares to the industry standard when it comes to price, facilities and services available. It's based on a self-evaluation by the property. Use this rating to help choose your stay! 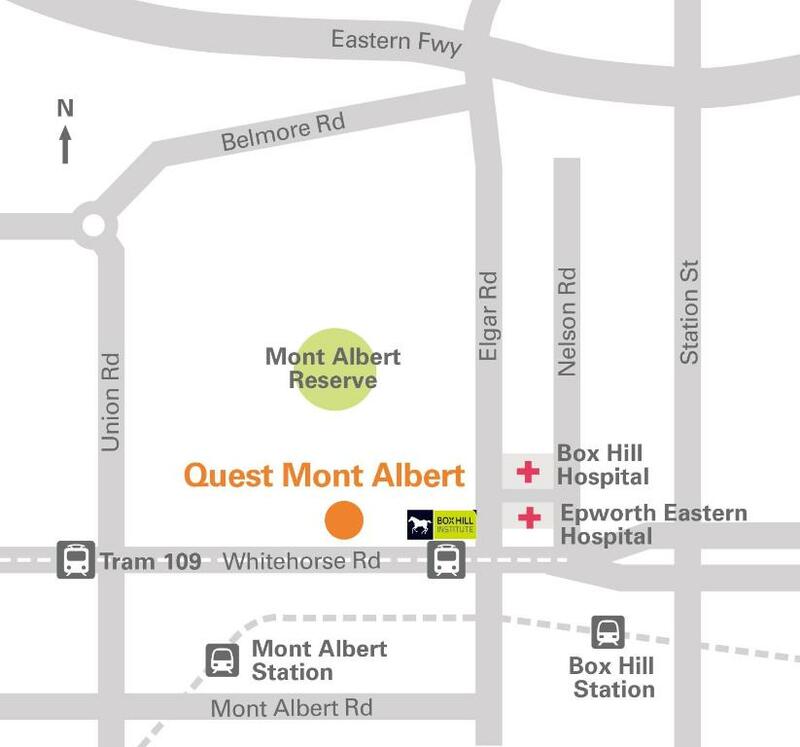 Quest Mont Albert offers spacious apartments with full kitchen and laundry facilities in Melbourne’s eastern suburbs. Guests have access to an on-site fitness center and covered car parking for an extra charge. 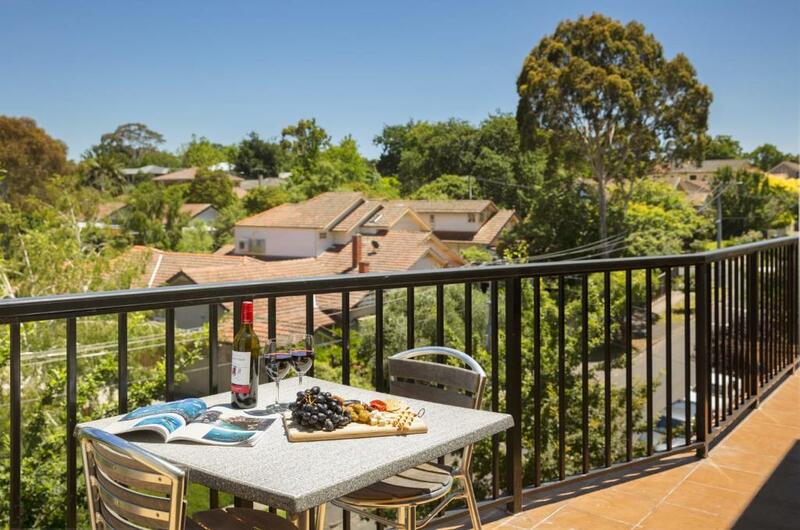 Each apartment at Quest Mont Albert Apartments includes a private balcony and separate living and dining areas with stylish furnishings and cable TV. 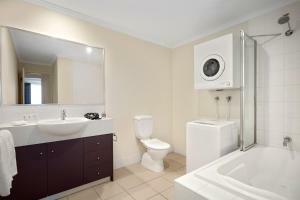 Air conditioning, heating and ironing facilities are standard in all apartments. Wi-Fi access is available. 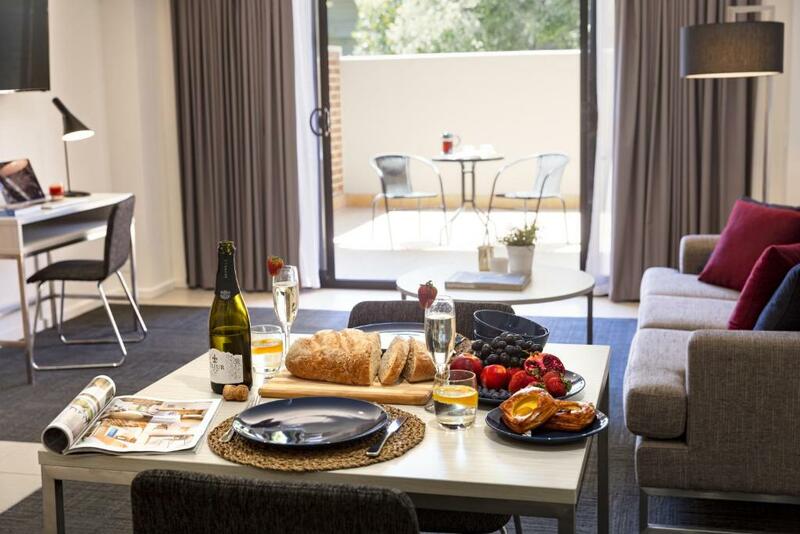 Guests have access to conference facilities, valet dry cleaning and a pantry shopping service. 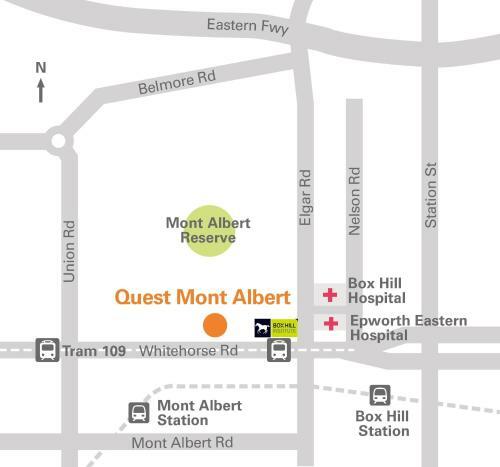 The nearest tram stop is 1,000 feet from Quest Mont Albert and Mont Albert Railway Station is 1,650 feet away. 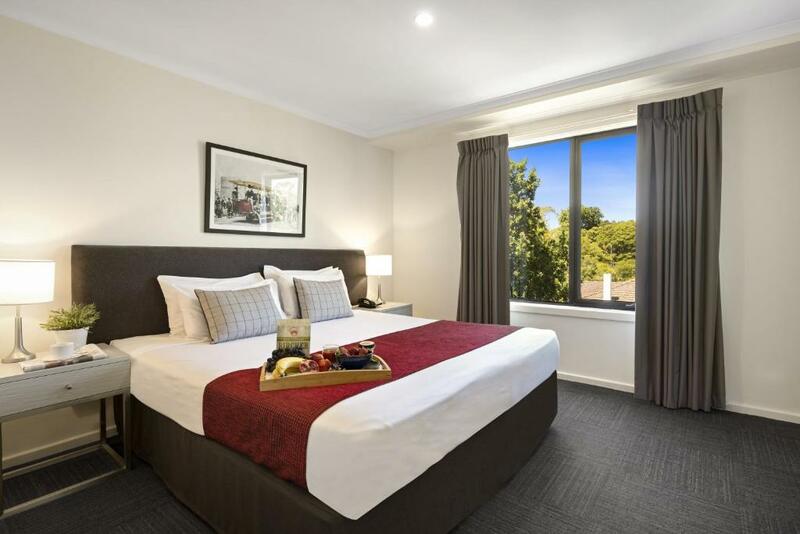 It is just a 3-minute drive to Box Hill and 6 minutes’ drive to Westfield Doncaster Shopping Center. This property is also rated for the best value in Box Hill! Guests are getting more for their money when compared to other properties in this city. When would you like to stay at Quest Mont Albert? This modern, spacious apartment features a fully equipped kitchen, laundry facilities and a separate living area. Please note that the rate is based on 2 guests. Maximum occupancy is 3 (see Hotel Policies). Public parking is available on site (reservation is needed) and costs AUD 15 per day. This apartment features a balcony, spacious lounge/dining area with 2 sofas and a 6-seater dining table. It also includes a fully equipped kitchen and laundry facilities. The master bedroom has an private bathroom and there is an additional bathroom. Please note that the rate is based on 4 guests. Maximum occupancy is 5 (see Hotel Policies). This apartment features a balcony, spacious lounge/dining room, 2 sofas, a 6-seater dining table, fully equipped kitchen and laundry facilities. The master bedroom has an private bathroom and there is an additional bathroom included. Please note that there is no capacity for extra guests. This apartment features a balcony, oven and tumble dryer. All Quest Mont Albert staff members include myself are extremely friendly. We do take pride in catering to our guests’ needs the best way we can. House Rules Quest Mont Albert takes special requests – add in the next step! Debit card Quest Mont Albert accepts these cards and reserves the right to temporarily hold an amount prior to arrival. Quest Mont Albert accepts these cards and reserves the right to temporarily hold an amount prior to arrival. Please note that there is a 1% charge when you pay with a Visa credit card, a 1.5% charge when you pay with a Mastercard credit card and a 2.2% charge when you pay with an American Express credit card. Please note that this property requires a AUD 50 credit card pre-authorization upon check in to cover any incidental charges. Apartment is next to the main road. Can be noisy at night. We were only given one towel for three people. The bath was not particularly clean. One of the doors to the balcony was stuck off the rails. And the movie options weren’t available. Check in procedure, Published check in time was 2pm, I informed the property I would check-in anytime from 3-4pm but the room was not ready until 4.00pm. I expected the “landscape view” as advertised; but the view was not really the view as it was advertised. A bit disappointing, but the spacious and clean room had compensated us (of course not 100%). Cigarette smell in the room. Not dirty but also not the cleanest. Bed was not the greatest could feel the springs. Nothing. We’ve stayed a few times & we’ll definitely stay again. I was quoted a price on booking.com for the room with 3 people in it so booked it accordingly. We went to pay for the accommodation on departure only to be told I had to pay an extra $25 for the roller bed provided in the room for the third person. I was not impressed as it should have been the price I was originally quoted. this may affect my choice when booking with them in the future. We were absolutely disgusted that the noise from the neighbouring apartment was so high. Having a child with a disability we booked particularly as it stated your rooms are sound proof - the party going on next door proved that wrong. Excessively loud music and a high number of people in the room yelling was very invasive in our apartment. After 5 hours and 2 complaints to staff the noise finally subsided. When asked about our stay the following morning a staff member assured us the noisy guests had been fined for their behaviour - well that's great for you to profit from them, but what about us? Maybe you need to look at that policy - how about giving back to guests in a situation like this when they're the ones being inconvenienced?? 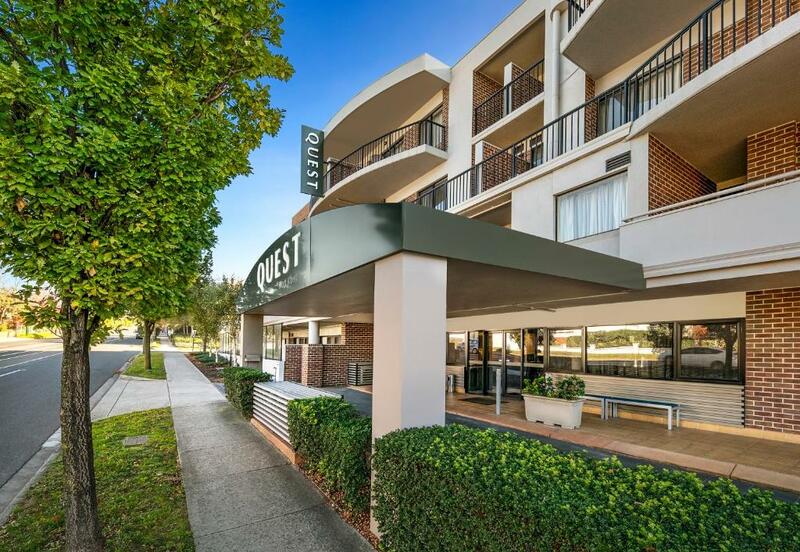 We very rarely go away and when we do we mostly stay in Quest apartments as we know the standard is usually reliable - not this time, very disappointing.